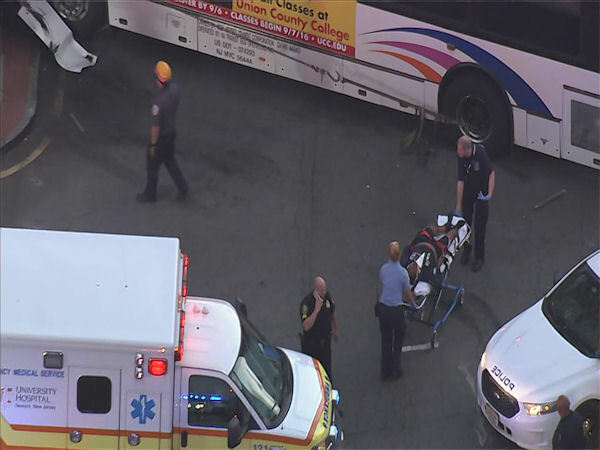 August 19, 2016: Two NJ Transit buses collided at North Broad Street and Raymond Boulevard in Newark, N.J. around 6 a.m.
NEWARK, N.J. (WPVI) -- A second person identified only as a female passenger has died hours after two New Jersey Transit buses collided in Newark Friday morning. 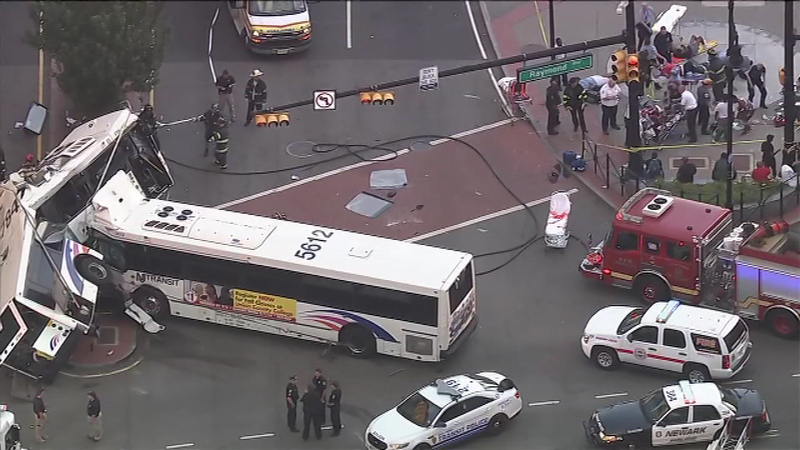 One bus T-boned the other, likely at high speed, around 6 a.m. at North Broad Street and Raymond Boulevard. 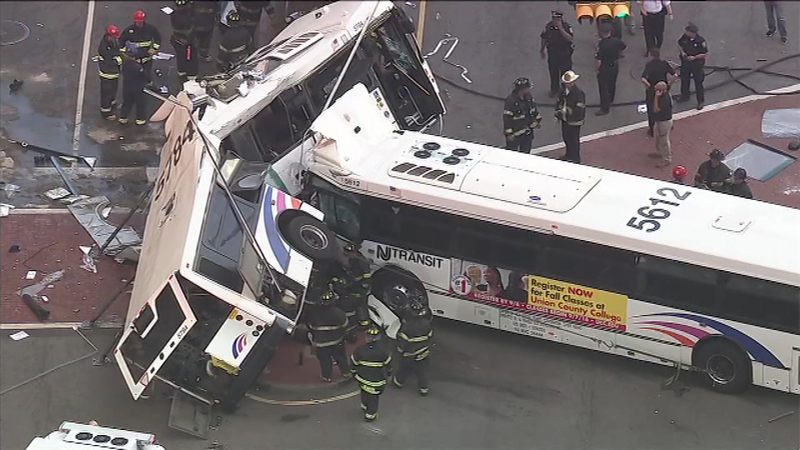 One of the vehicles was broken nearly in half, and a bus driver was pronounced dead at the scene. 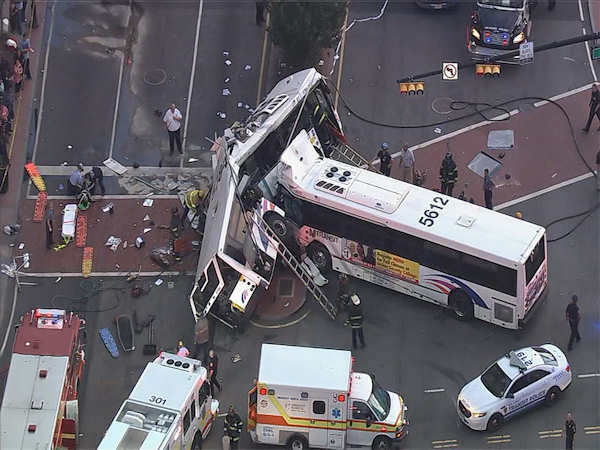 The passenger who later died was among 18 others who were injured. 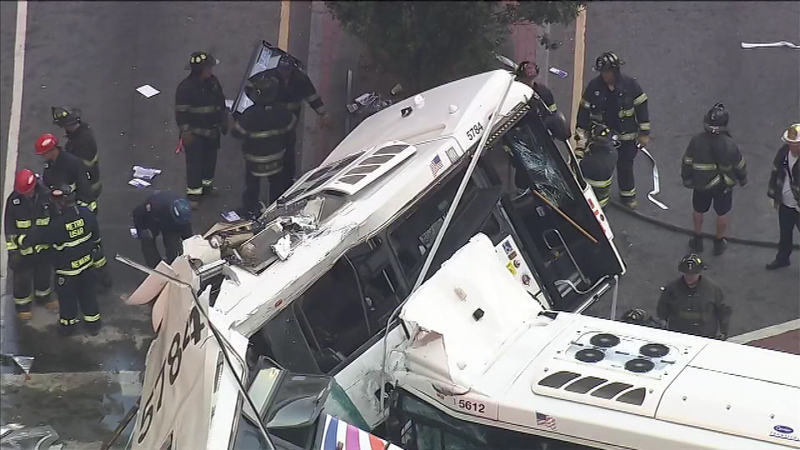 Six remain in critical condition, while the rest have non-life threatening injuries. 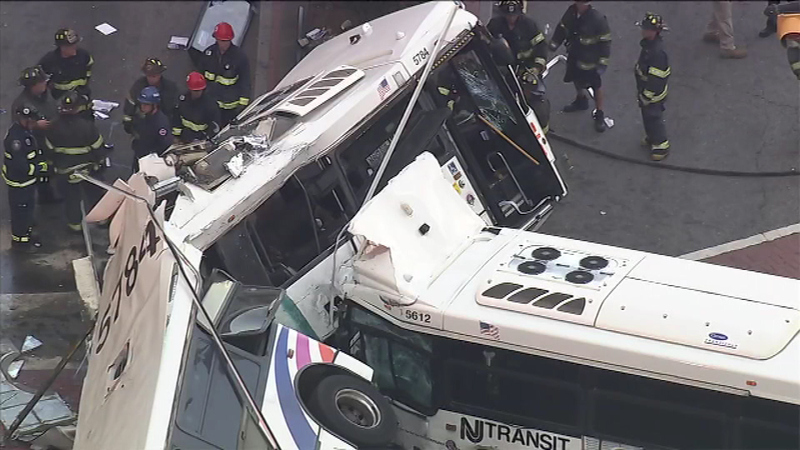 The New Jersey Transit buses ran into each other, likely at high speed. 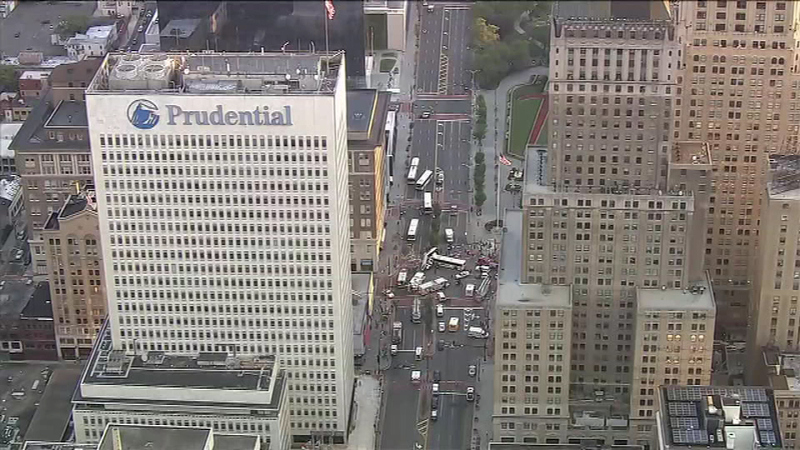 One of the buses appeared to have broken nearly in half. 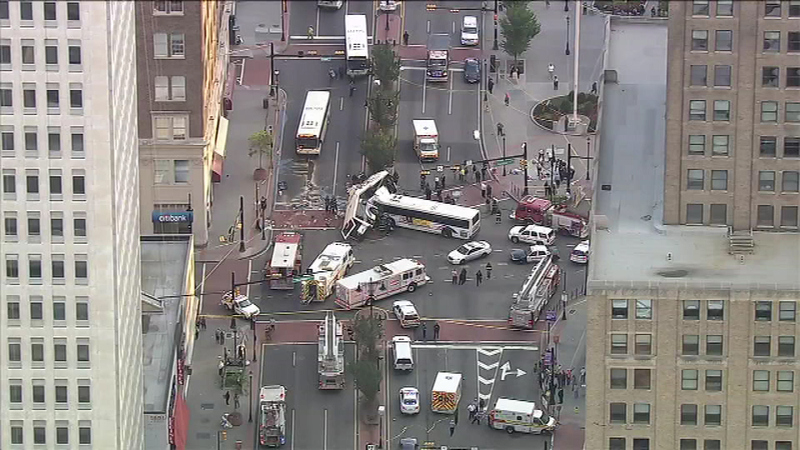 Newark Mayor Ras Baraka said the buses involved were a Route 59 bus and a Route 13 bus, which had 17 passengers and a driver on board. 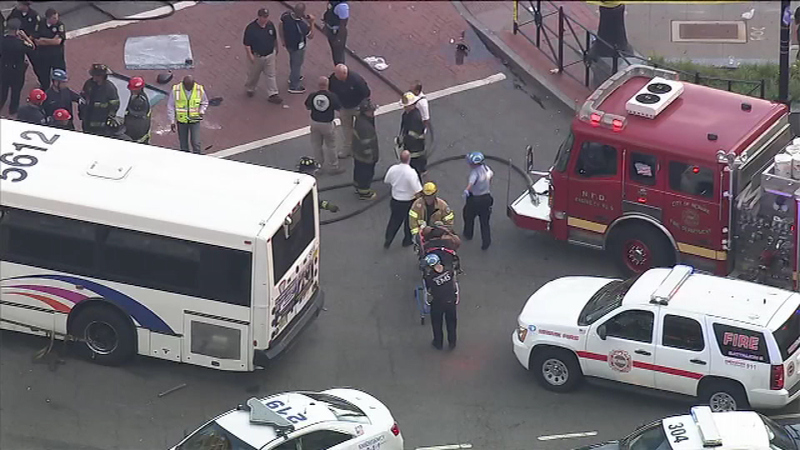 The Route 59 bus was empty, except for the driver -- identified as 70-year-old Joseph Barthelus, a 27-year veteran driver -- who was killed. 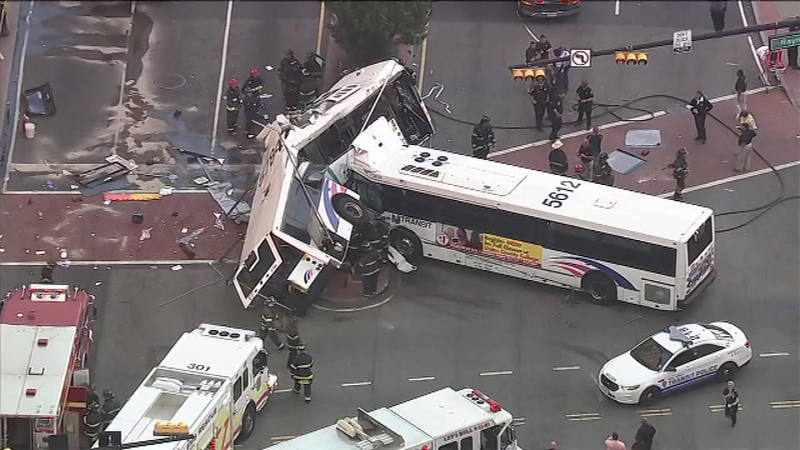 Many passengers were entangled in twisted metal seats covered in shards of glass as the force of the crash tipped the occupied bus at a 30-degree angle as it came to rest on a median. 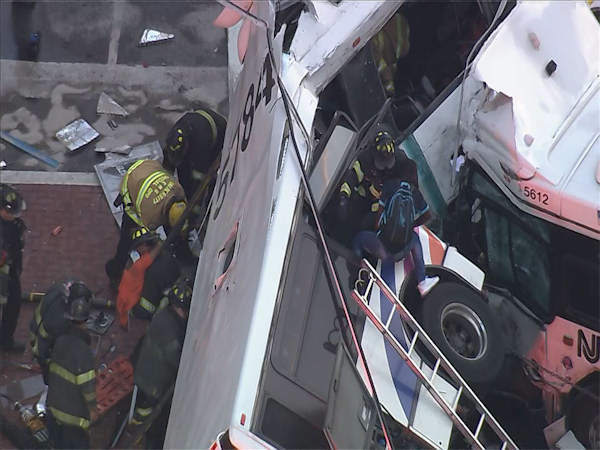 Some were trapped and needed to be rescued, and firefighters could be seen pulling passengers through a side window and loading them onto waiting stretchers and into ambulances. Barthelus was described by the New Jersey Transit Police Department as a longtime employee. The other driver, 35-year veteran James Roberts, had neck, back and shoulder injuries. 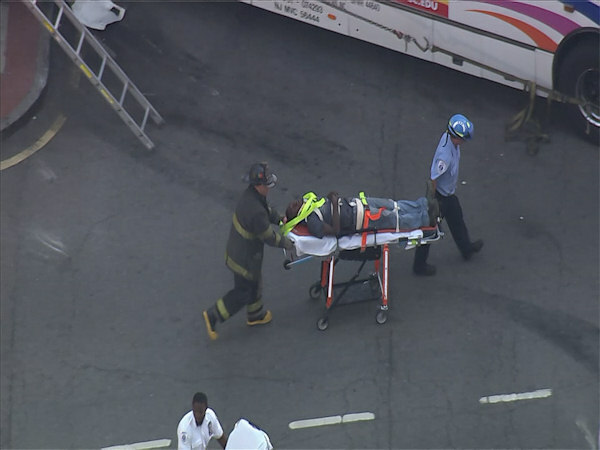 Baraka said the cause of the accident is under investigation. 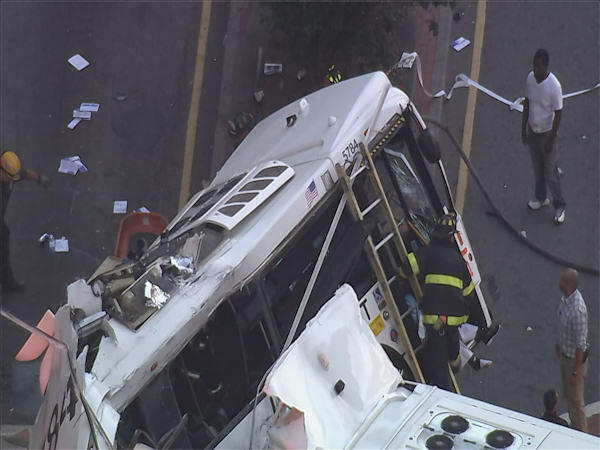 "We have some preliminarily(sic) kind of data that says we suspect one of the bus drivers may have gone through a red light," he said. "We are not positive about that, but that is what is being said." 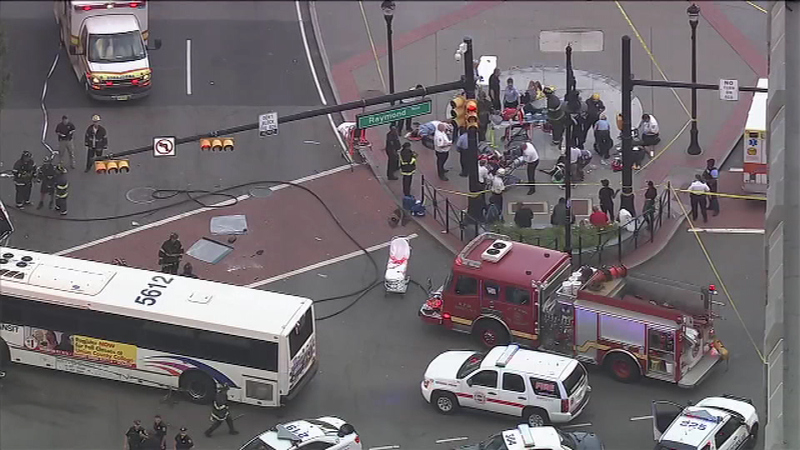 Traffic in the area was being diverted, and Baraka urged commuters to stay away from the intersection as officials worked to clear the street. 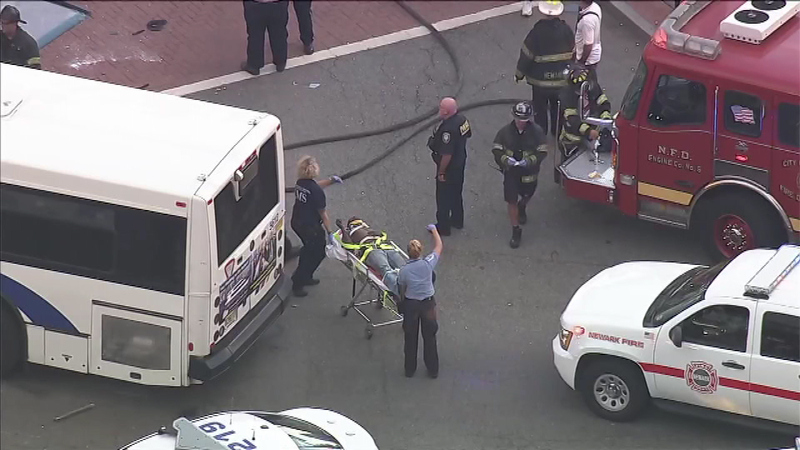 Victims were taken to University Hospital, Beth Israel Medical Center, St. Michael's Hospital and Trinitas Regional Medical Center in Elizabeth. The Essex County Prosecutor's Office will investigate the crash. 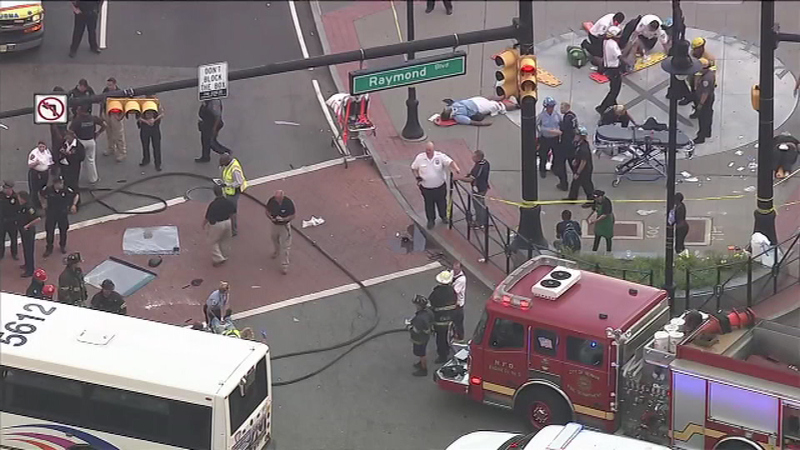 "We are praying for all the folks in the hospital that they get a speedy recovery from this tragic accident," Baraka said. 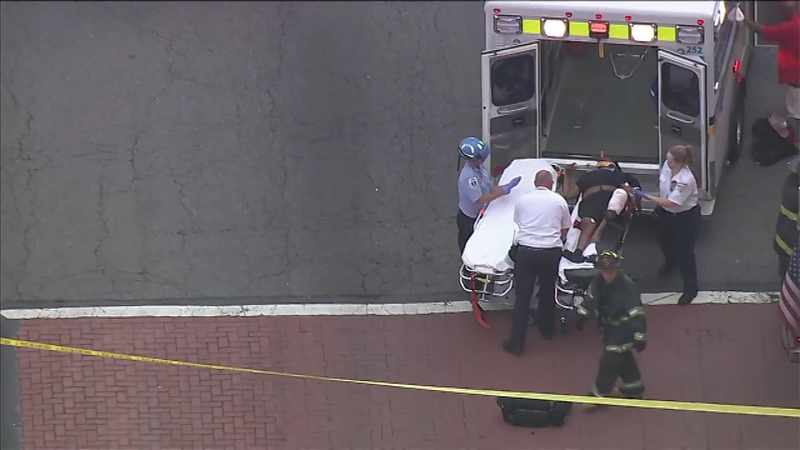 Jennifer Petrain was opening up a Starbucks about 100 yards from where the accident occurred. She said she heard a crash "like an explosion" and ran outside. She said she and a co-worker brought ice water, rags and a first aid kit. "We were there before anybody was on the scene," Petrain said. "It was terrible. We saw people with head injuries, leg injuries." The intersection was the first in the state, in 2009, to feature a surveillance camera designed to catch people running red lights. Then-Mayor Cory Booker conducted a demonstration in which he purposely rode through a red light. The program ultimately expanded to about two dozen towns and cities in New Jersey before it was discontinued in 2014 amid controversy and lawsuits. 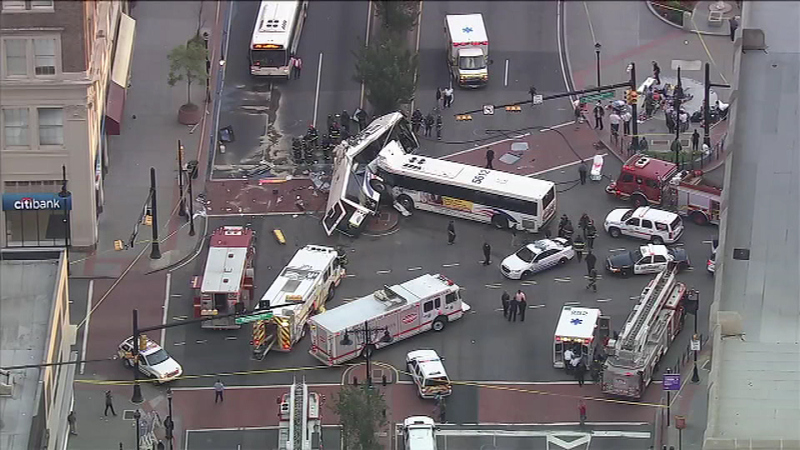 PHOTOS: Deadly bus crash in Newark, N.J.